Pharrell Williams's "Happy" tops the 4 million mark in digital sales this week. It's Williams' second song to reach that plateau in a little more than eight months. Robin Thicke's "Blurred Lines" (on which Williams was featured, along with T.I.) hit 4M in August. (It currently stands at 6,995,000). As you have probably surmised, "Happy" has already outsold Daft Punk's "Get Lucky," on which Williams was also featured. That Grammy-winning smash has sold 3,475,000 copies. "Happy" tops the Hot 100 for the eighth week. 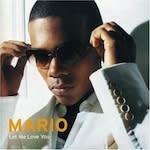 The feel-good smash is the first song by a male solo artist (who wasn't part of a collaboration) to log eight or more weeks at #1 since Mario's "Let Me Love You" spent nine weeks on top in 2005. "Happy" is #1 on Hot R&B/Hip-Hop Songs for the 10th week. 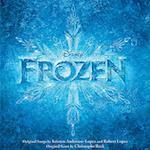 Idina Menzel's "Let It Go" holds at #5 for the fourth week. It's the fifth song to sell 2 million digital copies in 2014. The entire top seven is stationary for the third week in a row. That's a first in the history of the Hot 100, which dates to 1958. "Turn Down For What" by DJ Snake & Lil Jon jumps from #10 to #8. It's #1 on Hot Dance/Electronic Songs for the third week. Aloe Blacc's "The Man" holds at #9 for the second week. This is its fifth week in the top 10, which surpasses Elton John's "Your Song" (from which the song borrows its "you can tell everybody" hook). That classic spent four weeks in the top 10 in 1971. OneRepublic's "Counting Stars" drops from #8 to #10. This is its 25th week in the top 10, which matches "Apologize" (which was credited Timbaland featuring One Republic) as the group's longest-running top 10 hit to date. 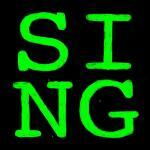 The Top Five: Pharrell Williams's "Happy" holds at #1 for the eighth week in its 15th week on the chart. This is its 11th week in the top 10. Digital sales rank: #1 (257K) … John Legend's "All Of Me" holds at #2 for the fourth week in its 27th week on the chart. This is its eighth week in the top 10. Digital sales rank: #2 (197K) … "Dark Horse" by Katy Perry featuring Juicy J holds at #3 for the fourth week in its 30th week on the chart. This is its 15th week in the top 10. Digital sales rank: #6 (111K) … "Talk Dirty" by Jason Derulo featuring 2 Chainz holds at #4 for the sixth week in its 17th week on the chart. This is its 12th week in the top 10. Digital sales rank: #3 (162K) … Idina Menzel's "Let It Go" holds at #5 for the fourth week in its 20th week on the chart. This is its fifth week in the top 10. Digital sales rank: #4 (152K). The Second Five: Bastille's "Pompeii" holds at #6 for the fourth week in its 35th week on the chart. This is its 12th week in the top 10. Digital sales rank: #12 (73K) … Lorde's "Team" holds at #7 for the fourth week in its 29th week on the chart. This is its 13th week in the top 10. Digital sales rank: #25 (46K) … "Turn Down For What" by DJ Snake & Lil Jon jumps from #10 to #8 in its 16th week on the chart. This is its third week in the top 10. 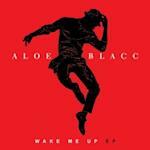 Digital sales rank: #8 (95K) … Aloe Blacc's "The Man" holds at #9 for the second week in its 16th week on the chart. This is its fifth week in the top 10. Digital sales rank: #9 (89K)…. OneRepublic's "Counting Stars" drops from #8 to #10 in its 43rd week on the chart. This is its 25th week in the top 10. Digital sales rank: #30 (43K). Luke Bryan has two songs in the top 10 on Hot Digital Songs. "Play It Again" jumps from #8 to #7 in its seventh week (108K). 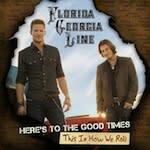 Florida Georgia Line's "This Is How We Roll," on which he is featured, jumps from #11 to #10 in its 20th week (86K). On last week's Hot 100, they stood at #26 and #22, respectively. 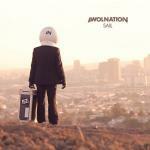 AWOLNATION's "Sail" tops the 5 million mark in digital sales this week. It's the 51st song to reach that plateau; the 12th that Nielsen SoundScan categorizes as rock—and the third that actually is rock, following Imagine Dragons's "Radioactive" (6,929,000) and Journey's "Don't Stop Believin'" (6,065,000). "Sail" is one of the biggest sleeper hits in pop history. The song has sold more than 500K copies in each of the last four years. It sold 737K copies in 2011, 1,196,000 in 2012, 2,547,000 in 2013 and 514K so far in 2014. Miranda Lambert's "The House That Built Me" tops the 2 million mark this week. It's her first solo recording to reach 2M. She previously reached this mark as a member of Pistol Annies, which was featured on her husband Blake Shelton's "Boys 'Round Here" (2,468,000). 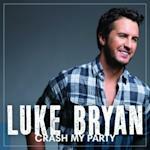 Luke Bryan's "Drink A Beer" tops the 1 million mark in digital sales this week. It's Bryan's second song with a drinking theme to sell 1 million digital copies. "Drunk On You" is up to 2,796,000. Bryan isn't the only country artist with two drinking-themed million-sellers. Toby Keith scored with "I Love This Bar" (1,033,000) and "Beer For My Horses" (with Willie Nelson, 1,027,000). Keith has three if you count "Red Solo Cup" (2,413,000). Four other country songs with drinking themes have sold 1 million or more digital copies: "Whiskey Lullaby" by Brad Paisley & Alison Krauss (1,686,000), "You And Tequila" by Kenny Chesney with Grace Potter (1,434,000), "It's Five O' Clock Somewhere" by Alan Jackson & Jimmy Buffett (1,332,000) and Eric Church's "Drink In My Hand" (1,191,000). Florida Georgia Line's "Stay" tops the 1 million mark in digital sales. It's the duo's fourth million-seller, following "Cruise" (featuring Nelly, 6,688,000), "Get Your Shine On" (1,671,000) and "Round Here" (1,143,000). Jason Aldean's "Night Train" also tops the 1 million mark.